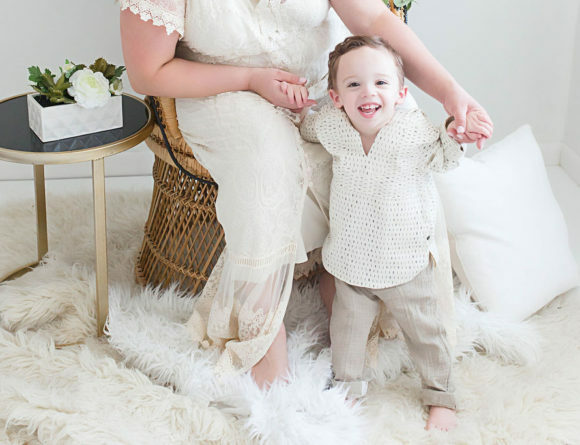 For me, 2017 will forever be the year I was pregnant and became a mom but my career has always been so important for me so I want to highlight the most memorable collaborations of the year for my small business and blog: Lipstick and Brunch! Last year was tough and I’m lucky it came with a huge reward. We’re so grateful to have Nicolás Enrique in our lives because he’s changed us forever and for the better. If you followed along last year, you know my pregnancy was filled with morning sickness and in turn, I didn’t blog as much. There were a lot of things that I had planned like attending New York Fashion Week in February but I was so sick that I had to cancel. 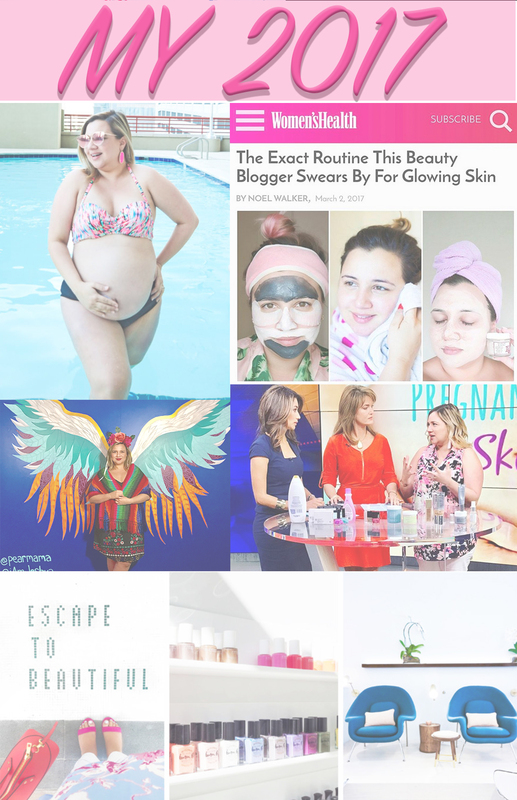 Even though that happened I still managed to work with amazing brands and create content for them on my blog and social media and that makes me super proud because I felt terrible during those 9 months. Here are my 2017 highlights of those amazing collaborations and features! 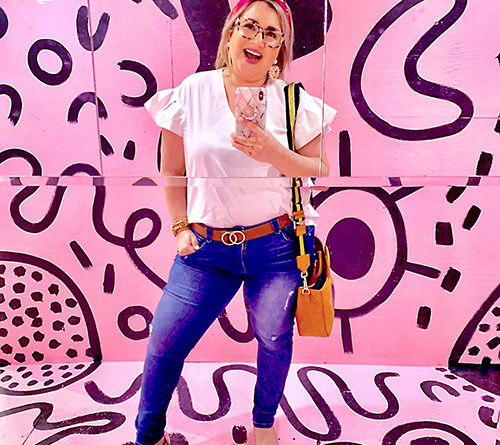 In March, I made my annual trip to We All Grow conference and I had the opportunity to attend a blogger brunch in Malibu Beach thanks to Neutrogena. I was pregnant and still felt sick but the beach is my favorite place in the world so it was a beautiful and peaceful experience. 2. I loved doing a Pregnancy Safe Beauty TV segment on FOX26 Houston when I was pregnant. There are so many ingredients that are harmful to use when expecting a baby and I loved informing people about it. 3. I explored the best of Houston in an all expense paid weekend as a Seekender with Hampton by Hilton! Read Part I and Part II of our babymoon in Houston. 4. I wrote and photographed one of my fave blog posts with Crest and I became part of The Crest Smile Council which means I’ll be testing a bunch of Crest products and reporting on them on my blog. 5. I worked with Southern Soul fragrance for the second year in a row for the unveiling on their new packaging! 7. 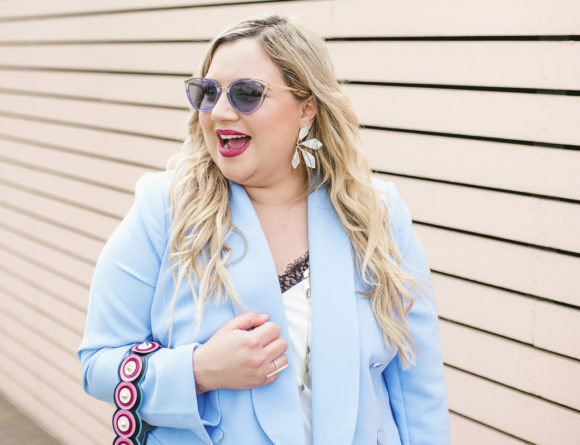 I was featured alongside some amazing Houston fashionistas in “What To Wear For Spring Break” in Houstonia Magazine, my favorite (and might I say BEST) local publication! 8. Houstonia Magazine featured me as a Houston Style Setter. Talk about a confidence boost during my tough pregnancy! Thank you Emily and Houstonia! 9. I had the honor of preparing mocktails with the super talented food blogger Vianney from Sweet Life Bake. One of my most beautiful collaborations to date! Thank you Vianney! 10. I got to work for Sephora inside JCPenney for the first time and I loved it! As a little girl growing up in Honduras going to Sephora was my dream and creating photos and a gift guide for them was unreal! 11. The most challenging and successful TV segment I did this year involved me putting on fake lashes on a reporter! I nailed it! 13. My birthday trip to Vegas to see Britney Spears was too much – probably the best weekend of my life alongside my hubby! Thanks to my hubby for planning such a perfect three-day-weekend. 14. I was on a blogging panel with fellow Houston bloggers My Red Glasses, Urban Swank and Luxe with Kids at University of Houston’s Fashion My Future. Thanks for having us and Go Coogs! 15. I became a beauty contributor for My Red Glasses and I love their team! Thanks for the opportunity! 16. I collaborated with Orangetheory Fitness right after my C-Section and worked out 3 times a week straight for two months and my mind and body healed in ways I couldn’t imagine. Thank you Orangetheory for letting me try out your services and document my progress on the blog. 17. I raised awareness for Type 1 Diabetes for the first time using Lipstick and Brunch as a platform. I also participated in a live chat with Harris County Public Health to talk about my experience as a pregnant mom with Type I Diabetes. 18. I worked with Francesca’s for Valentine’s Day and talked about how to stay confident and powerful! This collaboration came when I most needed it and it was amazing to take their followers along my day during my Francesca’s Snapchat takeover! 19. 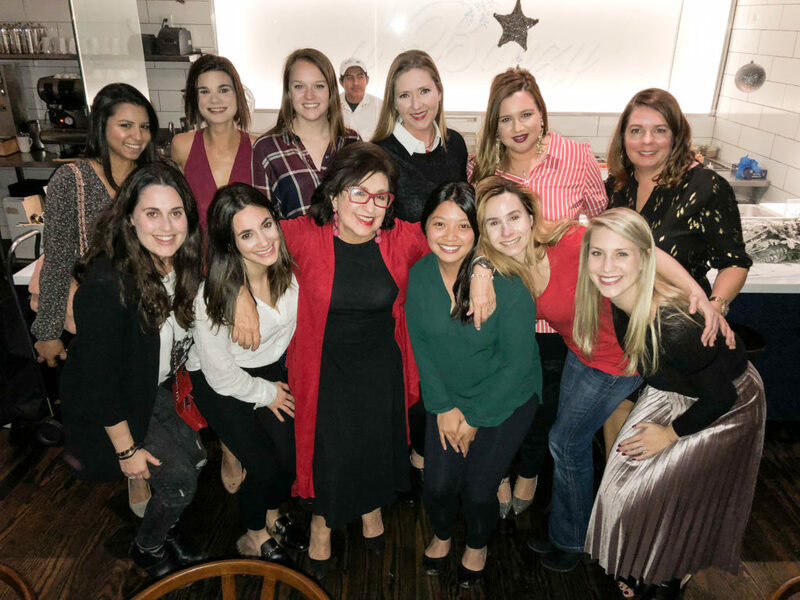 Visit Houston featured Lipstick and Brunch alongside a handful of awesome Houston Bloggers for a 2017 Holiday Gift Guide! It’s an amazing way to end the year considering Visit Houston the is The.Most.Visited.Website.In.Houston! 2017…What A Life-Changing Year for Lipstick and Brunch! I’m so excited for 2018!